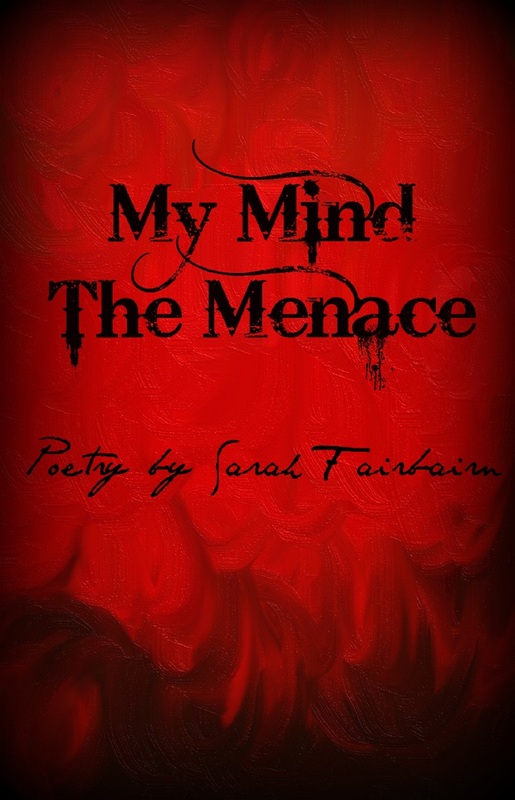 My Mind the Menace a debut poetry collection by new to the publishing world poet Sarah Fairbairn. That’s Me That’s Me. This is a collection from a darker period in Sarah’s life, a period she is happy to say she made it through. Here as a teaser is two poems from the collection available now at Smashwords. Why don’t you just leave me? About the Author That’s Me That’s Me. When Sarah Fairbairn Isn’t at her day job, dancing around annoying the other employees at her family’s mechanical workshop, or running around and looking after her two boys, her Nine month old Son and her Husband, she locks herself away in her Bat Cave or rather Sac Cave, fully fitted out with an old lounge chair and dining table as a writing desk, typing out her blog posts, trying to get some reading done and or cruising the web. Her poetry is usually scribbled on bits of paper scattered over her work desk, car and handbag, as thoughts always strike her at the most inconvenient moments or when she is without her much loved tablet PC. 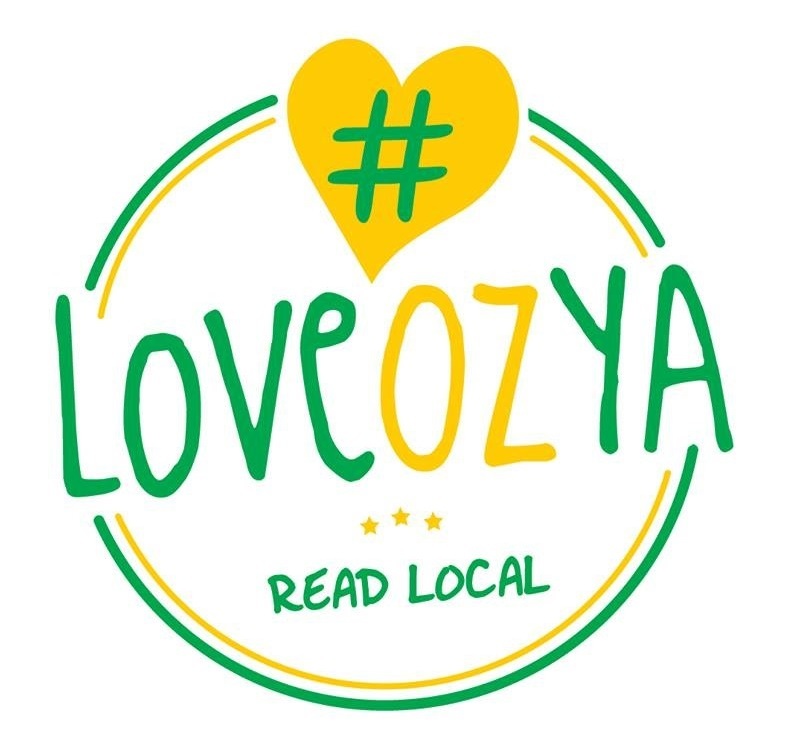 She has been writing poetry since High School and has a passion for reading, although having a small child leaves her less time read these days as she would like. 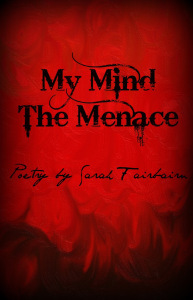 My Mind the Menace a debut poetry collection by new to the publishing world poet ***ME*** Sarah Fairbairn. This is a collection from a darker period in my life, a period I am happy to say I made it through. Here as a teaser is one of the poems from the collection available now at Smashwords. When I’m not at my day job, dancing around annoying the other employees at my family’s mechanical workshop, or running around and looking after my two boys, my Nine month old Son and Husband, I lock myself away in my Bat Cave or rather Sac Cave, it’s fully fitted out with an old lounge chair and dining table as a writing desk, I’ll be typing out my blog posts, trying to get some reading done and or cruising the web. My poetry is usually scribbled on bits of paper scattered over my work desk, car and handbag, as thoughts always strike me at the most inconvenient moments or when I’m without my much loved tablet PC. I have been writing poetry since High School and have a passion for reading, although having a small child leaves me less time read these days as I would like. Erasure: Post 68 of 365 post prompts for 2014. Today’s post asks us if we had the choice to erase one incident from our past, as though it never happened. What would we erase and why? I wouldn’t. I can’t think of one thing that I would want to erase that wouldn’t change history without stuffing everything up. I like the way I am and if I was to change my history I would be changing myself and I have no way of knowing whether it would be for the better or not. 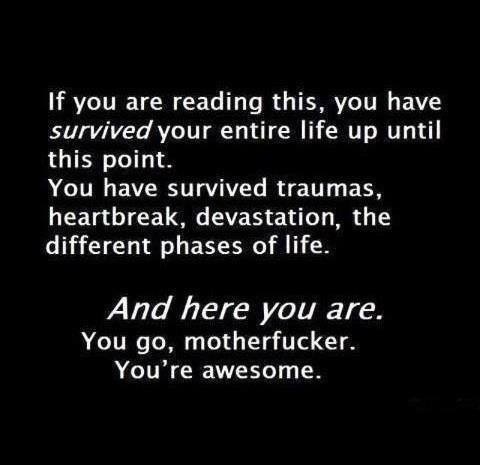 We are all the product of our experiences. Sure I’ve had my share of pain, embarrassment and extreme unpleasantness that I wished hadn’t happened, but it all shaped me in some way. Finally after twenty seven years of life I like myself. Sure I’m not 100% happy with the way I look or my mental abilities – but these are things I can work on, and I am working on. So no, I wouldn’t erase anything!